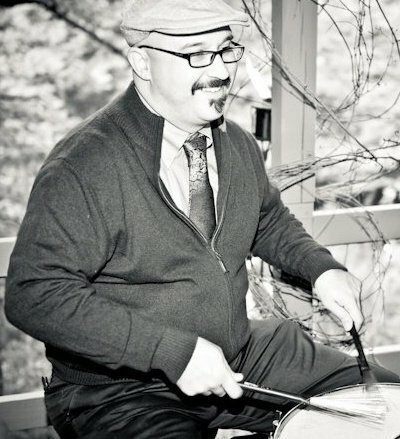 Ben Phelps has been teaching percussion for over 15 years. He was born and raised in Indianapolis, IN where he began his musical experiences in public school band and orchestra. As a senior in high school he participated in the Indianapolis Symphony Orchestra’s Side by Side program where he won the Concerto Competition and was able to perform as a soloist with the ISO. During this time he was also a member of The Madison Scouts Drum and Bugle Corps. Ben received his Bachelors in Music Education from the University of Illinois, Urbana-Champaign, where he was a member of the Wind Ensemble, Symphony Orchestra, Percussion Ensemble, New Music Ensemble, Opera, Steel Band, IPAN (professional steel band), and helped form the Educational Percussion Ensemble that would perform and teach musical concepts to elementary and middle school students in the surrounding areas. After graduating from Illinois, Ben moved back to Indianapolis and taught in Pike Township, Lawrence Township, Brownsburg, Avon, Carmel, Fishers, Hamilton Southeastern, Franklin, and taught private lessons at the Drum Center and R&R Music (Brownsburg). Following his love for funky music, Ben moved to New Orleans, LA where he played congas/percussion with Big Sam’s Funky Nation, the Funkin’ Horns, and Maurice Brown’s Jazz Experiment. Unfortunately, Hurricane Katrina threw a giant monkey wrench in the gears, and Ben moved back to his native Indianapolis. He became the Director of Percussion at Lawrence North High School where he was responsible for teaching percussion classes (at LN and it’s feeder middle schools) and dealing with all things percussion including marching band, concert band, jazz band, orchestra, and was the Pep Band Director for the basketball games. Currently Ben plays with several bands in a variety of genres. He plays regularly with The Rhythm 8 Jazz Band, the Barton Rogers Big Band, and the Pork N Beans Brass Band, which is a New Orleans style Brass Band. Ben is very excited to teach at Carmel Music Center, and looks forward to sharing his love of music and percussion with his students.